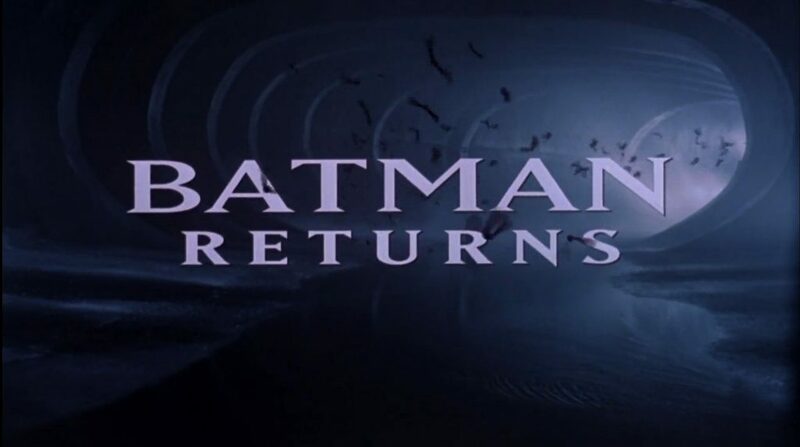 Of all the Batman films in the DC universe, Returns is still my all-time favourite. In fact, it’s my favourite movie ever. My introduction to it was unorthodox. My estranged father bought me a double VHS Batman/Batman Returns box set for my 3rd birthday. I was too young to remember whether I expressed a love for the Caped Crusader or he assumed, being a child, I loved superheroes but that’s what I got. And I still have it over a quarter of a decade later. It still works (just about). 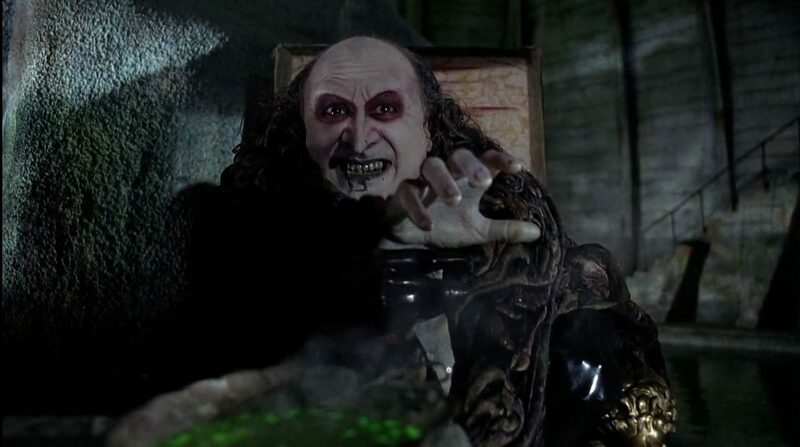 I loved the first movie but the Batman Returns caught me more. It was darker in tone, grimey and paradoxically shinier and more polished (although I might be thinking about Catwoman’s PVC suit). Tim Burton took a risk with his approach and it effectively cost him the franchise, although he was asked back for Forever and co-produced the film. 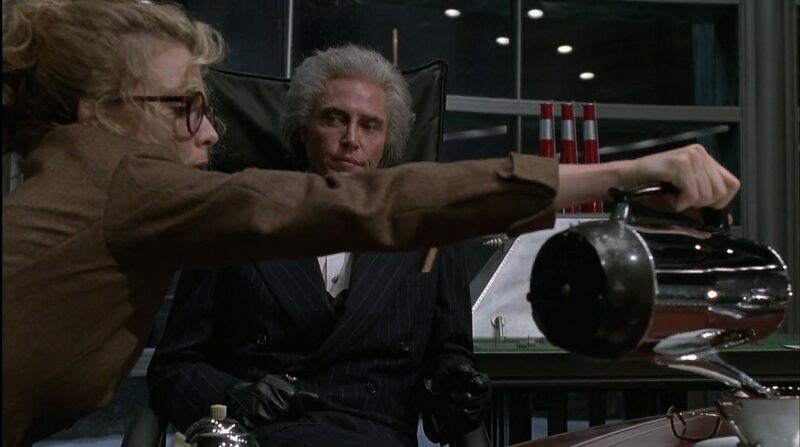 There were plenty of quotable moments from the movie but in this list, I will be picking some of the more obscure scenes from Batman Returns I loved as a kid. They weren’t all pivotal to the plot but they evoked a reaction in me. Let’s begin! The disgust on his face! I’m gonna start off super boring. It’s a lowly secretary assistant pouring her boss some coffee. Nothing to see here, right? Yes, absolutely right. The only reason I liked this was because as a young child, I was fascinated by the idea of coffee and how it would taste. This brown drink that adults loved to drink so much. I was used to tea and hot chocolate but coffee seemed almost exotic. But Batman Returns wasn’t about white people drinking coffee. No, it was much darker than that. I’m older and wiser now and only drink decaf for the taste (the regular stuff increases my anxiety) and I only drink it in the form of mochas. I’m sure Max Shreck would look at me in the same way he side eyed Selina Kyle in the above image. This is one of my favourite scenes in the whole film. I was a happy child but this intrigued me. 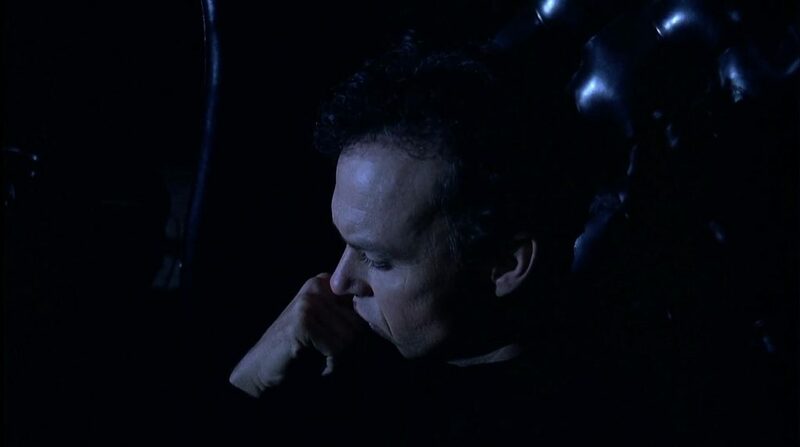 Why was he sat in the dark, with only the moonlight to keep him company? What was he thinking about? The fact he had the signal wired up to an automatic lighting system that shone directly into the room was amazing to me. I still don’t know why he was there in dark solitude but I understand it now. I do it myself sometimes. It helps me clear my mind. Perhaps this was his idea of meditation. A lot better than Bruce Wayne’s weird gravity boots from the first movie. When Batman fought fire with fire. Literally. A taste of his own medicine? Here, a firebreather tried his luck with Batman’s car, forgetting 1) he’s Batman and 2) he has an armed Batmobile (although the security of that was in question, which I’ll get into later). Batman turned around using a rotating platform embedded in the bottom of the Batmobile and blasted fire from his exhaust. But Batman isn’t supposed to kill people! I guess he did in this one. While on her way home, Selina was held hostage by a clown from the Red Triangle Gang and his Omega Stun Gun. I assumed this was just a prop for the film but Omega Stun Guns are real. 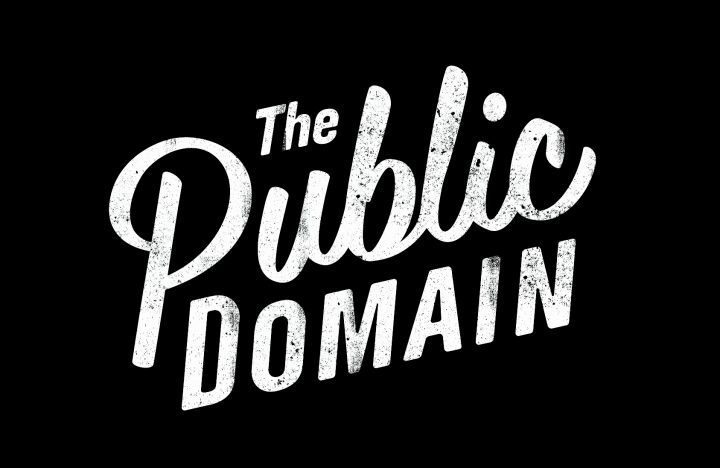 150,000 volts for $85. Anyway, Batman takes the time to get out of his Batmobile, have a staring contest with the clown, and knock him out using his grapple gun and some of the concrete wall behind him. Yet more public property damage from the man in black. Careful where you stand, Maxie. 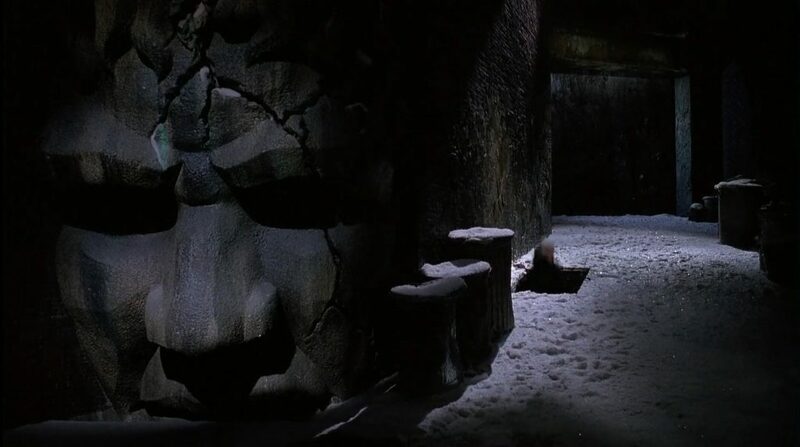 What are the chances Max Shreck would escape to an empty alleyway and stand on a trapdoor leading to the Penguin’s underground lair? 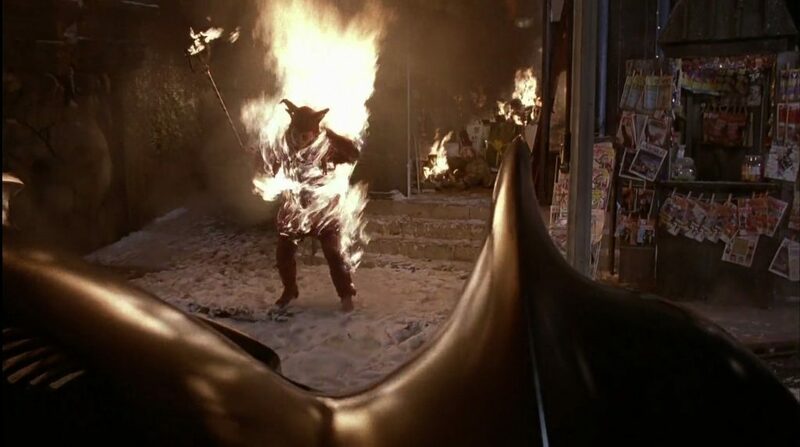 Anything is possible in Batman Returns. The sudden drop had me in stitches as a kid and it still makes me laugh today. There are ways to hold someone to ransom. They often involve money. But not for The Penguin, the rich kid formerly known as Oswald Cobblepot. Batman Returns is set during Christmas (which makes it a Christmas film and I will not hear any debate on the matter) so The Penguin opens up his Santa bag for Max. Has he been a good boy? Hell no. The first “present” is a Thermos filled with toxic waste. Don’t ask how that didn’t burn through the plastic. The second gift was a bunch of illegal documents taped back together after being shredded. “A lot of tape and a little patience make all the difference”, he said. 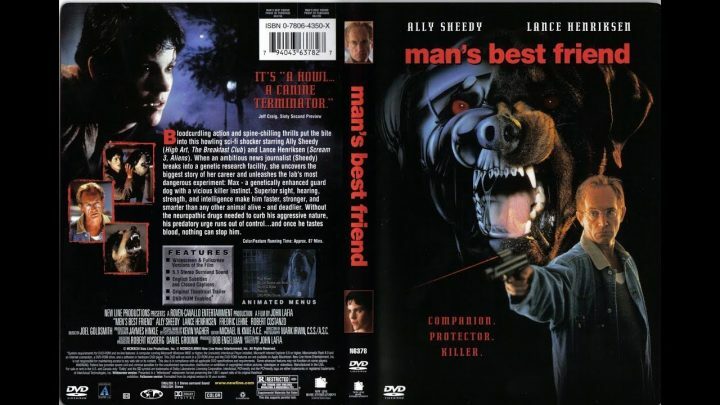 The third and final present was the best/worst, depending on your point of view. Fred Atkins was Max’s old partner who was “on vacation”, until Penguin revealed that vacation was indefinite via his severed hand. Brilliant sadistic humour from Danny DeVito. I always thought I misheard this line but it turns out I didn’t. Selina finally got home after her circus ordeal and we find out she took the stun gun home. Good call. She sits down to listen to her messages and finds one she sent herself. She forgot to sort out the papers for Max’s meeting with Bruce Wayne. And that’s when she uttered the famous(?) line. Why did she call herself a corndog? I’ve yet to hear anyone use this as an insult. Selina was a kooky one. Until she went way over the edge.